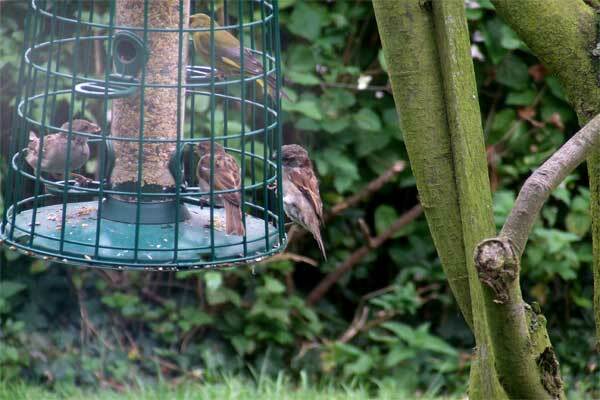 It’s not often that the MPLR can claim a rarity, but this time we think we can!Â Our Reserve Manager was checking the bird feeders the other morning, it was very busy as usual and the visitors were our normal flock of House Sparrows and Greenfinch, nothing unusual there then. 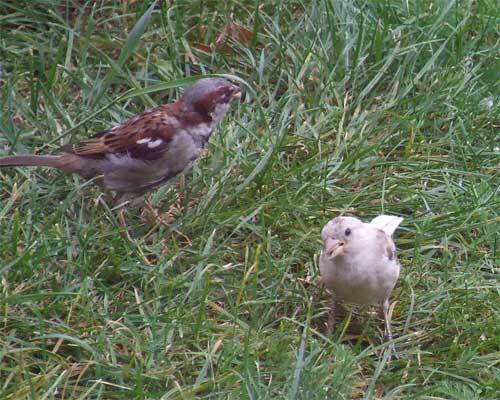 When he took a second look at the little group feeding in the grass. 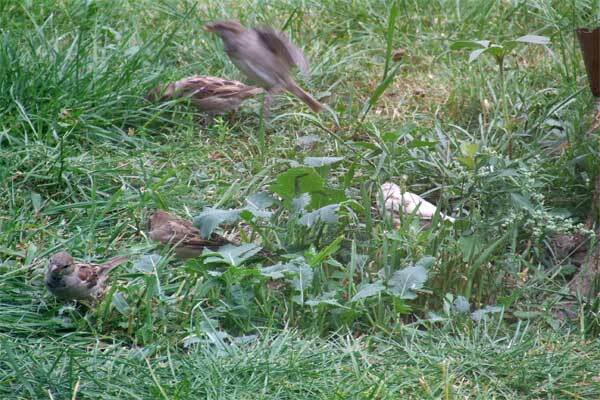 Who’s the little fellow in the white then, lurking amongst the grass?? Well, as it turned out, after a little patient waiting for the right opportunity for a proper identification, it turned out to be a ……….. 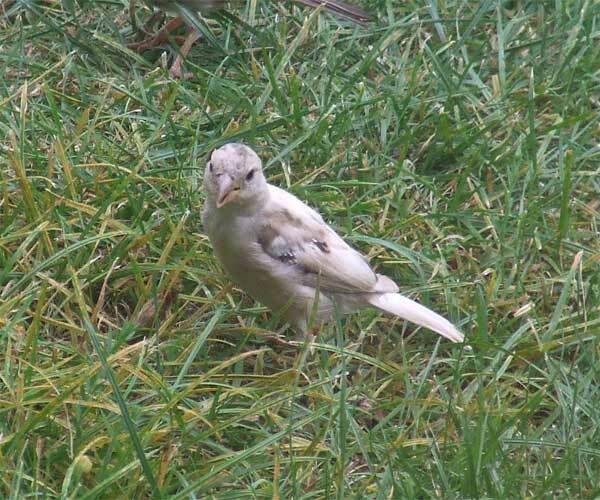 Yes, it really is a white Sparrow!Â Ok, it’s not albino but it certainly is very white and apparently they are very rare, as much as one in a million.Â So there you have it, a bird rarity at the MPLR…….